Prior to enrolling in college most students believe they have chosen the right major, the right college, and even the right place to study. Expectations are high, it seems that dreams have come true; the prospects of a future career look brighter. But the year as a freshman changes the students’ mind: they see things and practices which could either disappoint them or impress them. The difference between a high school and college is huge, thus college students always feel that they start a new “journey” in their life. There is a point at which a student should be certain whether he/she wants to stay at the current college (or to study the same major). Usually it is after the first semester. There are plenty of options available then: to continue studying the same major at the same college; to change the major but not the college; to change the college (and probably also the major). In order to do the latter, you need to start a procedure of transfer. Some documents are required, amongst which the so-called college transfer essay, which is a part of the Common Transfer Application. Following are some useful tips on how to write a transfer essay. 1. What is a college transfer essay? A college transfer essay is such kind of a paper which is required when you want to move to another college. You have to explain the reasons for doing this. The reasons can vary, and also the approaches you may have while writing the essay. 2. Do you really want to move? You should be one hundred percent sure that you need to move to the other college, and that you know this will affect your career prospects positively. Hence, you should know a lot of things about the other college - accommodation, professors, teaching, activities, opportunities after graduation, and so forth. One year has passed and you have actually wasted your time. Thus, think: is it worth wasting more time to accommodate to another place and adapt yourself to the new environment (and probably, academic standards and requirements)? If you are certain you want to move to another college, then all you need is to check what the procedure is. A transfer application essay is only a part of it, although it is the most important element of your application. Make yourself sure you have the required academic achievements during the current year, and that one or two of your instructors would support you with recommendation letters. You can check all the requirements on the college’s homepage (in most cases) or by writing them an e-mail. Now you should continue by writing a short outline of your ideas. Why do you want to transfer to the other college? There must be a central thesis upon which the transfer essay will be based. Note down everything coming to your mind and afterwards reduce it to several ideas. Try to formulate the idea of every paragraph. In your college transfer essay tell about your academic and professional interests, and motivation. This paragraph should include your achievements from high school and freshman years. Do not tell too much though - the admission committee can easily check the information on your CV. In a college transfer essay tell about your academic and professional interests, and motivation. This paragraph should include your achievements from high school and freshman years. Here you must show respect for your current college. Remember: never speak with disrespect about your current college (or even a former one). Tell positive things you have learned during your freshman year. you have some problems with adaptation and need to move to a place which is closer to your home. In all cases, you should know what exactly you want. Writing a transfer essay is not a mere formality. It demonstrates your plans, goals and abilities. Are you transferring from your current college to another? 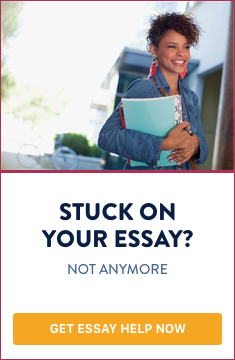 I’m sure you’ve searched Google looking for the perfect college transfer essay sample to help you write your own transfer essay. But guess what? You may not find it. Why? Because there is no one-size-fits-all approach for this. Why, you may ask (again)? Because each student is different and so are their circumstances for changing colleges. 1. Start with a bang! – First impressions last. The first paragraph introduces who you are, make it worth their while. A good way to do this is to identify a few of your core values and link it to the college’s core values or mission. That will grab their attention and make them want to read more. 2. Narrow your focus – When writing a college transfer essay, you must keep in mind that you have 500 – 600 words to tell them a lot about yourself, where you’re coming from and why you want to go to their college. In doing that, you have to make the most of your words. You can do this by focusing on a few points, writing as descriptively as possible, being sure to engage all of your senses (and in turn their senses as well) and telling a memorable story that the admissions officials will be sure to remember. 3. Be specific – Emphasize your main idea with facts, quotations and reasons. Be sure to use examples from your life experiences to differentiate yourself from other applicants as this can make all the difference when the admission officials have to make a choice between two good candidates. 4. Be genuine – College admission officials review many transfer essays so it is important to be yourself and to be honest. Give them something unique and remember, be memorable! 5. Use simple language – Don’t try to impress the reader with your vocabulary as it is very easy to misuse thesaurus-generated synonyms. And this will not make the impression you want. Keep it simple! 6. Write first, edit later and proofread many times. Get your thoughts on paper first and then edit. Editing while you write can disrupt your idea process and cause you to lose your train of thought. Focus on one thing at a time: writing your college transfer essay, editing it and then proofreading it several times. Once your transfer essay is edited and you are satisfied with it, be sure to do a thorough check for spelling and grammatical errors. As these are an indication of carelessness, don’t rely on your computer spellcheck program to do all the work. In this case, you need to double-check your spellcheck. 1. Speak badly of your current college. In a college transfer application essay, it is necessary to include an explanation of why you are leaving your current school without bashing them. Do this by mentioning how you benefitted from attending that college and how you plan to use what you learned at your new college. Talk about the features of the college you are excited about and looking forward to. This is also a good time to talk about some of the goals you hope to achieve at your new college, what your dream is and how your new college can help you to realize that dream. 2. Talk about yourself only in the introduction. Throughout your transfer essay, you are telling a story that describes who you are so it must translate throughout the entire paper. Throughout your transfer essay, you are telling a story that describes who you are so it must translate throughout the entire paper. 3. Give the admission officials a resume or focus on information that is listed elsewhere in your college application. In doing this, you’ll waste the admission official’s time, valuable space and all while not offering something new. 4. Do it alone. Give your transfer essay to a mentor or guidance counsellor to review for errors and content. Be sure to ask someone who knows you well. 5. Rush. Writing a good college transfer essay is a delicate process. Take the time needed to think through the main points and ideas and to arrange your sentences and paragraphs appropriately. Your core values and how they relate to the college you are applying to. The reason why you chose the school you’re leaving. The reason for leaving that school and what you’ve learned from being there. What you want to study and what’s your dream? How will the new school you’re transferring to help you realize your dream? Writing a transfer essay may feel daunting in the beginning, but if you follow these simple steps, and most importantly, take the time to work thoroughly through the brainstorming, writing, editing and proofreading process, you are guaranteed to end up with a winning essay.